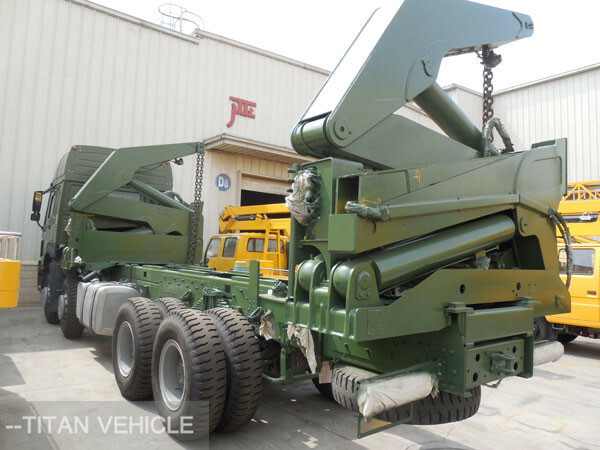 Side Loader Truckmountis specially designed and manufactured By Titan Vehicle Company. It is one of ideal vehicle to transport and loading 20 ft containers.It is very convenience to load and unload containers by this model. 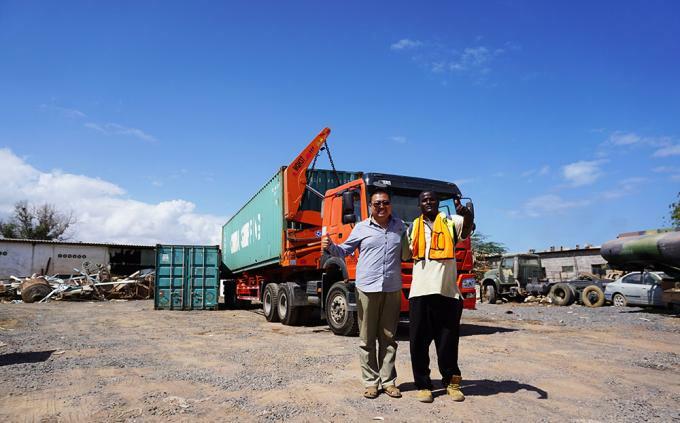 It can lift 20ft Container side loader trailer is the main vehicle at sea port.Sa far, Titan side loader container trucks are sold well to more than 30 countries commended by the customers for the high quality and good service. Engine 336HP, Euro2, emission standard, injectior pump mechanial diesel engine, 8 cylinders in-line, 4 strokes. 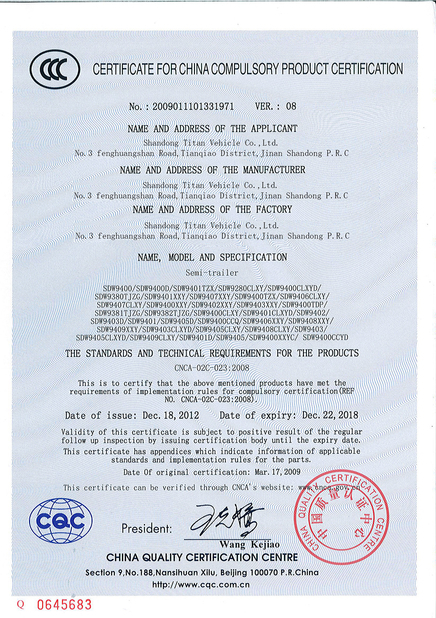 Sino Truck truck chassis. The TITAN 20ft Container side loader truck is the lightest and most easily maneuverable side loader in the world. 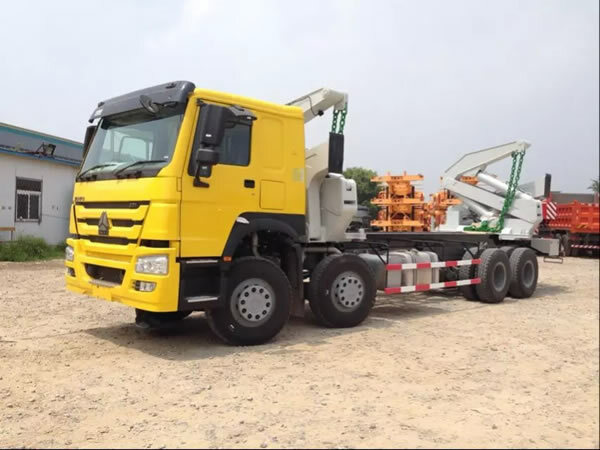 with its compact structure and most easily maneuvrable side loader in ther world. Excellent for use in narrow places an d where 20ft containers are dominating. 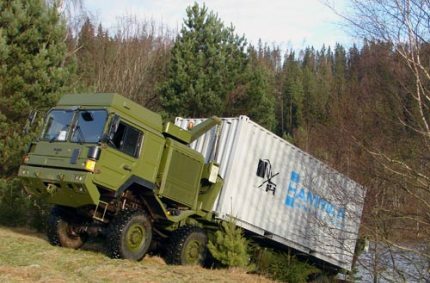 Military applications : The Titan 20ft Container side loader truck is ideal for moving equipment, munitions, supplies, command centres and other container-based requirements. 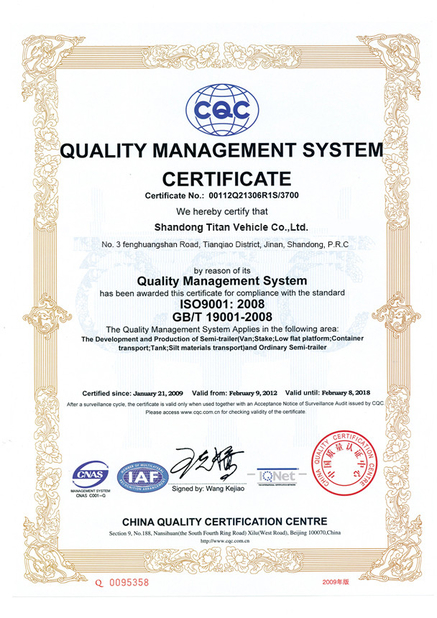 More details about TITAN Side loader Truckmount , Welcome to contact us now for best price. Place order with us in this month , you will get 500 usd spare parts for free.